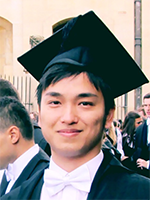 Takeshi is a doctoral researcher at the Environmental Change Institute (ECI), University of Oxford. Before joining ECI, he served at Danish NGO's forestry and environmental projects in Brazil, United States, Mexico and Namibia over 6 years. He completed his MSc in Conservation at University College London, undertaking research on potential forest restoration in Paraguay using the REDD+ mechanism at the UNEP World Conservation Monitoring Centre, Cambridge. He recently conducted research at the Brazilian National Institute of Space Research (INPE) to estimate the extent of secondary forests in Amazonia using satellite remote sensing data. His research focuses on describing the nutrient cycling of tropical forest ecosystems along a disturbance gradient ranging from moderately logged, heavily logged forests to old growth forests at the Stability of Altered Forest Ecosystems (SAFE) Project, one of the world's largest ecological experiments in Sabah, and Lambir Hills National Park in Sarawak, Malaysia. Woody and leaf samples were collected within the intensive carbon cycling plots of the Global Ecosystems Monitoring network, and their nutrient (N-P-K-Ca-Mg) and carbon concentrations were chemically analysed to examine the allocation of these six elements to each ecological component such as tree stems, branches, leaves, roots, and soil. His study is the first of its kind and will represent a major scientific contribution.